The landscape for the field of marketing has changed greatly over the last several decades. Focus has shifted from billboards and radio ads to search engines and content creation. 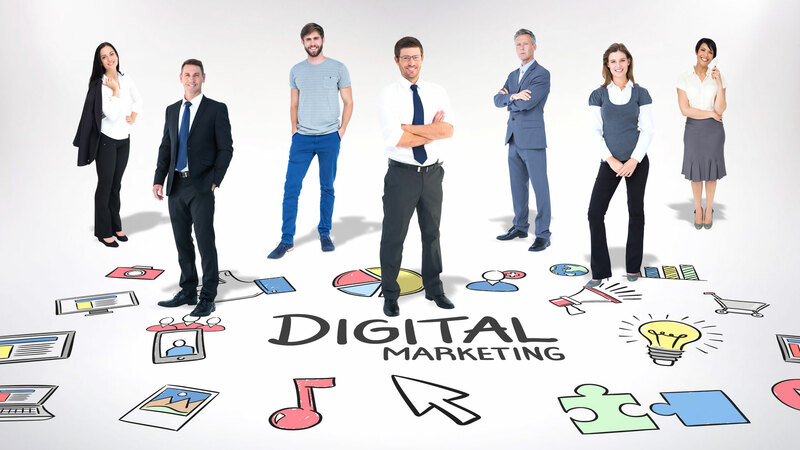 In today’s world, digital marketing is the backbone of any marketing campaign. Strong digital marketing can generate lots of leads and create new customers, while a weak digital presence could cause your business to miss out on a large portion of your market. Fortunately, these new developments have made it possible for individuals to carve out careers in the field of digital marketing. However, what are the best ways to further your digital marketing career and make yourself more successful? Like most jobs, the most important thing you can do in the field of digital marketing is to network with other professionals. It might seem sad, but sometimes it isn’t about what you know but instead about who you know. You could be the best digital marketer in the world, but if you aren’t able to acquire any opportunities then you will have little chance to advance your career. In contrast, a less skilled digital marketer may have plenty of opportunities available to them simply because they know a lot of people in their field. Whenever you’re working for a business or on a project, make sure you connect with your fellow peers, because you never know if or when that connection will be valuable. TIP: LinkedIn is the best networking website for such career options. One of the best ways to further your digital marketing career is developing niche skills that allow you to take on new jobs and projects. Digital marketing is a vast field, and there are plenty of skills that one can acquire to make themselves a more attractive candidate for a job. Diversifying your skillset can open up many new opportunities that you never had before. In addition, it could help you when it comes to candidate selection. If an employer sees that you have a diverse skill set that includes hard-to-acquire niche skills, then you will definitely have an advantage over other candidates. Having all the talent in the world doesn’t mean anything if you don’t have any examples or proof of it. That’s why it is a smart idea to frequently look for opportunities to show off and advance your skills. This may take the form of taking various digital marketing jobs, or it could mean starting your own blog to show off some of your projects. Perhaps you could create an SEO campaign for a toy store, create a viral marketing campaign, or you can develop a digital marketing campaign to sell virginia homes. Regardless of how you go about it, you want to create a portfolio that shows off what you’re capable of doing. Reaching new heights in your career will be much easier when you have evidence to back your claims up. Showing your talents off is a great way to get recognition in the industry, and can open up many new opportunities for you. These are some of the hands-free ways to automate your digital marketing career.